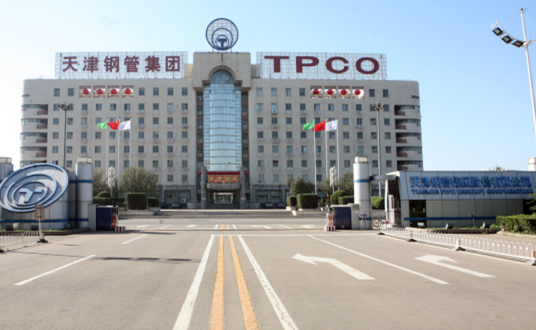 TPCO is headquartered in Tianjin Binhai New Area and The China (Tianjin) Pilot Free Trade Zone (TJFTZ), enjoys benefits of advantageous geographical position and convenient transportation: 15 km from Tianjin port, 20km from Tianjin Binhai International Airport, and 120km from Beijing easily reachable by high speed train and expressway. The full-scale construction of TPCO in Tianjin (TPCO(T))started in May 1989. The successive test-runs of the steel-making, pipe-rolling and pipe-finishing systems began on June 27, 1992 and production followed. Through years of sustained investments and efforts, TPCO(T) now owns 3 steel-making works, 6 rolling mills, 32 finishing lines, 12 heat treatment lines, and one cold-rolling, cold-drawing production systems. TPCO(T) is equipped with the advanced production equipment and technology. The production lines are composed of 4 major parts: iron-making, steel-making (billet), pipe-rolling and pipe finishing.